When the name of the Bride Rovers Club is mentioned, especially outside of East Cork and outside of the county, it is generally linked with one name and that name is Seanie Barry. People who know very little about Bride Rovers have heard of Seanie Barry and have heard of his exploits with Cork but to people in the parish of Bartlemy, Rathcormac and Kildinan, Seanie Barry was more than a Cork hurler, he was probably the best hurler ever produced by the parish and a man who was proud to wear the green white and gold of his native parish, a man who did more than any other person over a period of 30 years to bring glory to his native parish and to the Bride Rovers Club. Born into a great hurling family, Seanie's father, Tom Barry N.T. had been the first secretary of Bride Rovers in 1928 and maintained his links with the Club all down through the years right up to his death in 1985. Tom Barry was involved at East Cork Board level both as Secretary and Chairman. He was also Cork Junior Hurling selector and Imokilly selector. During his time as selector, Cork captured two Junior All Ireland titles so it was only natural that Seanie and his brother Gerard would be brought up to play the game of hurling. Having attended the National School in Rathcormac in the 50's at a time when the Bride Rovers Club was going through a lean period, there was little enough juvenile activity for Seanie to get involved in though he did play in goals in 7 a side under 16 Leagues between the village and country and other juvenile matches which were not really played on an oganised competition basis. Having left Rathcormac National School, Seanie went to secondary school in St Finbarrs, Farranferris in Cork. By this time, he was playing hurling with Sarsfields Club with whom he played minor for four years - 1960, 1961, 1962 and 1963. He was in goals with Sars for the first three years and in two of those years in 1960 and 1961 Sars won the East Cork and the county section of the Minor Hurling Championship but they were beaten in the County Final both years by Na. Piarsaigh. Those same four years while attending Farranferris, he played in the Harty Cup campaign, the first two years in 1960 and 1961 as a goalkeeper and the other two years as a forward and it was as a forward that he drew most attention. In 1963 he was on the Farranferris team which won the Harty Cup for the first time and then won the All Ireland Colleges Competition, the Croke Cup. They beat Ennis CBS who were the holders in the Harty Final and in the All Ireland Final, they beat the Patrician College of Ballyfin. His displays all during the Harty Cup campaign and in the All Ireland Final especially drew rave notices from reporters. In fact he was described in one publication as "a pocket size Christy Ring". The previous year in 1962, he had been picked as the Sub-Goalkeeper on the Cork Minor Team for the Munster Final. He didn't play in this game and Tipperary won well. In 1963 he was picked at right half forward for the Cork Minors who beat Clare in the first round, thanks to a late goal by Eddie O'Brien who won a Senior All Ireland Medal with Cork in 1970, but Tipperary beat Cork in the Munster Semi Final. They in turn lost to Limerick in the Final. All this time, Seanie was playing Junior and Intermediate hurling with Sars. 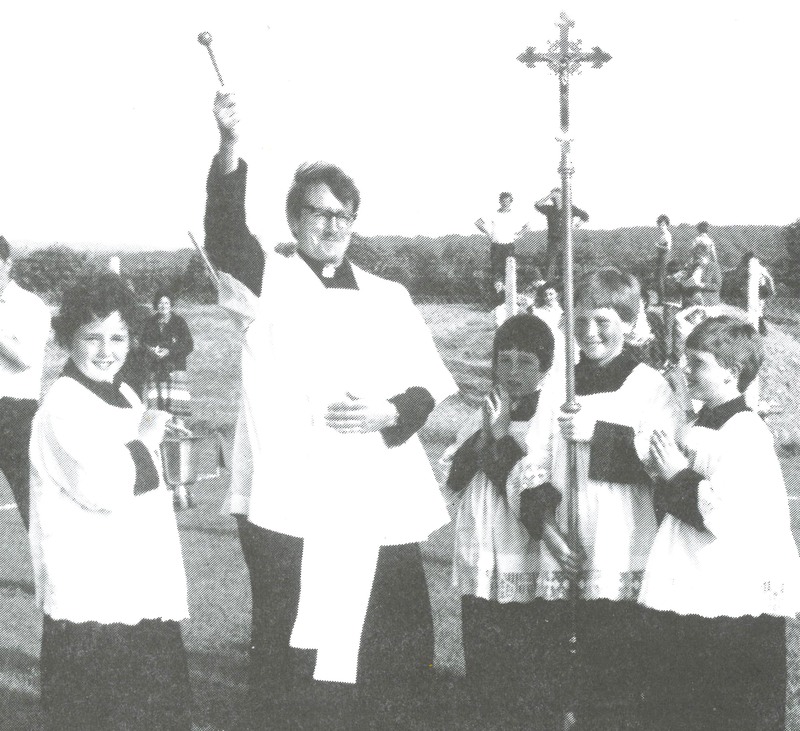 In the autumn of 1963, having decided that his vocation in life was to be a priest, he joined the St Patricks Missionary Society and went to Kiltegan in Co Wicklow for studies. In 1964 he came to study in UCC and was based in the St Patricks Missionary Society house in Douglas. He transferred from Sars to UCC in 1965 with whom he won Fitzgibbon Cup medals in 1965 and in 1967 when he was the captain of the College team. The Bride Rovers Club had been reformed in the parish in the autumn of 1964 and with the college rule at the time, it meant that the player could play any grade less than senior with his own club while playing senior with the college. For 1965 Seanie was able to play senior championship with UCC and come back and play B Grade with his own Club, Bride Rovers. The only problem with the college rule was that you weren't able to play until after 1st June. In 1965 he was picked at centre forward for the Cork under-21 team for the first round of the championship against Tipperary at Kildorrery but he wasn't able to come out from Kiltegan for this match. A man who would have been a team mate of his on that Cork team was Sean Murphy of Raheen. Sean played against Tipp in that match in which Tipperary had a good win. In 1965 he began playing with his native Club, Bride Rovers. He recalled his first match was a practice match against Ballyhooly, a match the Rovers were heavily beaten in. Some of his performances with the College that year drew the attention of the Cork Intermediate selectors. He was picked on the Cork Intermediate Team which was captained by Dave Murphy of Castletownroche. That Cork team had some very good wins in Munster over Tipperary, Galway and Waterford. In the All Ireland series Cork defeated Wexford and in the final defeated London by 2-20 to 5-5 and Seanie Barry got his first adult All Ireland Hurling Championship medal. With the Rovers too, he put in a huge effort in 1965. The Rovers in their first year since being reformed, got as far as the East Cork Semi Final against Castlelyons but were beaten in Riverstown. Castlelyons went on afterwards to win out the East Cork Championship. 1966 was the real year of glory for Cork and the Rovers and for Seanie Barry. The Rovers won their first every Junior B Hurling Championship with victories over Dungourney, St Catherines and a good win over Youghal in the final. In all these games, Seanie Barry generally played in the half forward line and his scoring was prolific both from play and from frees and he was emerging as one of the star forwards not alone in Imokilly but in Cork. He was picked on the Senior Team for the first round of the Munster Hurling Championship against Clare, a game in which Cork were lucky to get a draw. The replay was in Limerick two weeks later and probably this was the first game in 1966 with Cork where Seanie Barry really made his mark. Giving a classical display, he scored 2Â­6 and was in a large part responsible for Cork's easy win in a transformed team, by 5-11 to 1-7. Cork then moved on to play Limerick in the Semi-Final. Limerick had sensationally defeated Tipperary in the first round of the Championship. With ten minutes to go, it looked as if Limerick were going to win but then two goals scored by Charlie McCarthy and a great palmed effort by Seanie Barry turned the game in Corks favour. Cork won in a very tight finish by 2-6 to 1-7. This put Cork into the Munster Final against Waterford. It wasn't a brilliant game of hurling but the Cork followers, starved of success, didn't mind when Cork regained the Munster Championship for the first time in 10 years, defeating Waterford by 4-9 to 2-9. It was on then to the All Ireland Senior Hurling Final against Kilkenny. Kilkenny were an experienced team, red hot favourites and a lot of people thought Cork were travelling more in hope than in confidence. But to everybody's amazement and to the joy of the huge Cork following, Cork won by 3-9 to 1-10. Again Seanie played in the half forward line and played a major part in this All Ireland which was an emotional win for the Leesiders after being in the wilderness for so long. In reality, little was expected of the team in 1966 but like a mushroom, Cork can come overnight and in 1966, thanks in no small way to Bride Rover's Seanie Barry, Cork regained the Liam McCarthy Cup. Great scenes of jubilation followed both in Cork on the return of the team on Monday night and also afterwards in Rathcormac when an All Ireland Senior Hurling Champioship Medal came back to the village and to the Bride Rovers Club for the first time since Con Murphy won in 1946. By 1967 Seanie was ever present on the Cork Senior Hurling Team but there was great disappointment for the Cork team as they were defeated by Waterford in Walsh Park after they had a defender sent off. For Bride Rovers, it was a year of learning. In the A Grade Championship for the first time the Rovers found the going tough and in the first round, they were defeated by Castlemartyr. But there was really no despondency in the Club. The team was very young and inspired by Seanie and his team mates, there was still great confidence in the Club and this confidence was really borne out in the glorious seasons of 1968 and 1969. Anybody that attended any of the Championship matches during those years of 1968 and 1969 will have been aware of the huge contribution that Seanie made. 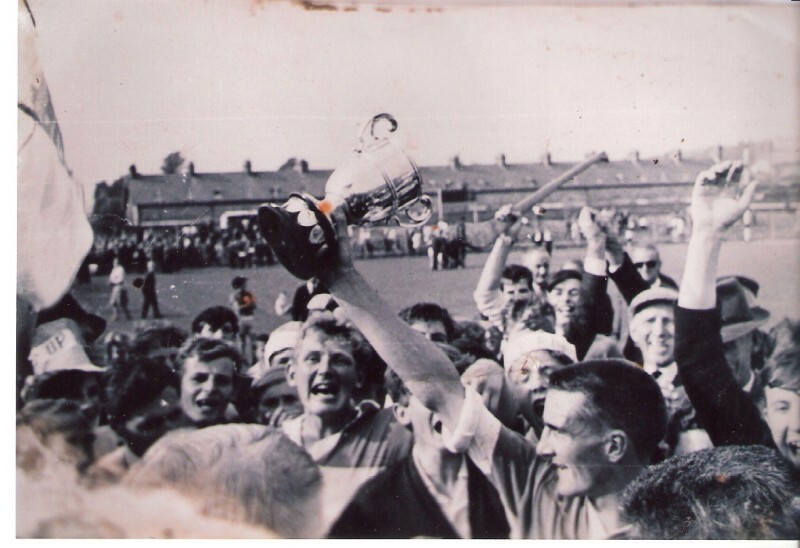 The East Cork championship was captured in 1968 by Bride Rovers for the first time since 1932. In the first round of the championship there was sweet revenge for the 1967 defeat when Castlemartyr were decisively beaten on a score of 2-14 to 1-2 in Midleton. St Catherines were defeated by one point in a thrilling game in the second round 4-13 to 5-9 in Carrigtwohill, a match in which Seanie Barry ran himself to a standstill and made a huge contribution. In the semi-final in Midleton on 4th August, Bride Rovers defeated Youghal by six points 3-11 to 3-5 and so the Rovers were into the A, Grade Championship Final for the first time since 1938 when they had lost to Cloyne. great goal from 60 yards out which went straight to the net to leave the score at 3-7 to 1-4 at half time. At the start of the second half Sars added to their total with two more points but after that, those lucky enough to be present witnessed 25 minutes of some of the best hurling ever seen in an East Cork Final. The great comeback was started by Frank Meade, who from a pass from Seanie had the ball in the net for his side's second goal. They added a goal and three points and in the space of seven minutes had scored a total of 2-3. Sars counter attacked again but towards the end, the Rovers kept coming, coming and coming. Seanie Barry took a pass from Tom Riordan for a great goal for his side. Then three minutes later Johnny Barry had the sides level with the fifth goal and fittingly the honour of taking the lead for Bride Rovers fell to Seanie Barry with four minutes left in the game when he put a point over and the Rovers won the title on a score of 5-8 to 4-10. The fantastic scenes of jubilation after that match when the cup was presented to Seanie Barry will long live in the memory of those present. The scenes were repeated in 1969 and so a Club, which had only been reformed in 1964, in a space of a few short years had won a B Grade title and two A Grade titles. 1969, however, despite being a fantastic year for Seanie at Rovers level was disappointing on the inter county scene. Cork with an injury crisis in the run up to the All Ireland Final could badly have done with a forward of his calibre but his talents were ignored and Cork were defeated in the All Ireland Final of 1969. Shortly after that, he was recalled to the Cork panel and he was on and off the team during 1970 but won another senior medal in 1970 as a sub when Cork defeated Wexford in the first All Ireland 80 Minute Final. Ordained to the priesthood at Easter 1971, Seanie left for the mission fields of Africa in the autumn of that year having played his last match in the red and white of Cork in a tournament game against Limerick in Buttevant. His inter-county career was over but for the next 14 years whenever he was back from Africa, he always lined out with his Club, Bride Rovers. In 1975, he was one of the inspirational figures behind the Club's second B Grade championship win. This win came as a major surprise. The Club Chairman David John Barry had died suddenly in June of that year and the A Grade Hurling team had been heavily defeated by St Catherines. The Club seemed to be at a low ebb but with Fr Seanie, Fachtna O'Driscoll and Captain and Club Chairman Pat O'Connor to the fore, the Club confounded all the critics by defeating St Itas in the B Grade Final by 1-8 to 1-5. Over the next number of years Seanie played intermittently with the Junior A Hurling team but unfortunately the Club had very little success. He remained loyal to the Club however and at any stage when he was available helped out with coaching and training. process however but few realised after that final of 1997 how much the Rovers had learnt. 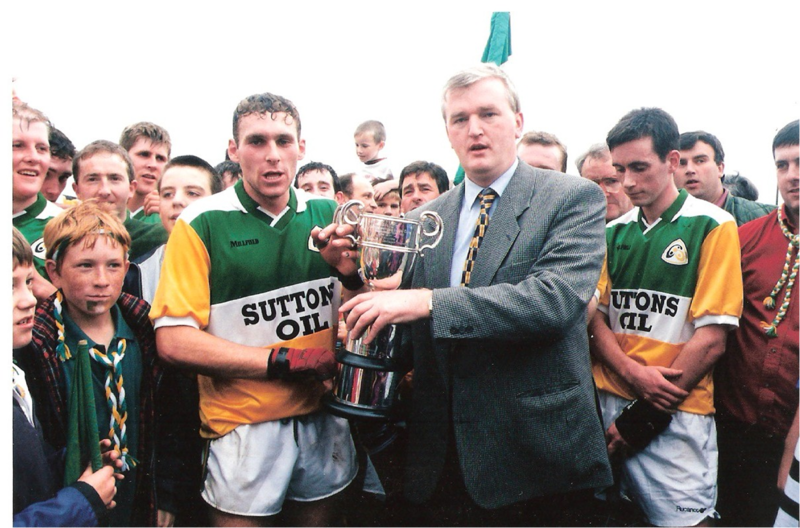 In 1998, Seanie again got involved with the team as coach and though based in Kiltegan, drove up and down to Rathcormac many nights and weekends and was very involved and was delighted to see the team under his tuition' capture the East Cork Junior Hurling Championship for the first time since he had captained the team himself in 1969 when Dungourney were defeated in the Final in Cobh. Thoughts then turned to the County Championship campaign. In 1968 and 1969, the Rovers had been defeated by Courcey Rovers and Kanturk respectively and really had made no impression in the County. But at the celebrations on the night of the 1998 East Cork Final in Rathcormac, Seanie and Club Chairman, Pat Hoskins stressed to the players that the County Championship was within their grasp. In the first round of the County against Ballinascarthy in Pairc Ui Rinn, it certainly didn't look like it as the Rovers trailed by 7 points but in the second half they played some inspirational hurling and gave Fr Seanie Barry one of his proudest moments ever as team coach to emerge winners of a fantastic game by a single point. This win put the Rovers into the County Junior Hurling Championship Final for the first time ever. Unfortunately for Seanie he had to return to Africa before the County Final was played. The County Final against Freemount will always remain in the memory of those lucky enough to be there and when Donal Ryan was receiving the County Cup after the brilliant victory over Freemount, his first words were "Fr Seanie, this is for you".It is very hard to sum up in words what Fr Seanie Barry has meant to Bride Rovers but he certainly has given inspiration, confidence, guidance and pride to all those who wear the green, white and gold of the Bride Rovers Club. In writing the history of the Bride Rovers Club it became very apparent that the role played by Seanie Barry over a long number of years was hugely influential. It is only right and proper therefore, that Seanie should write in his own words about hurling and what Bride Rovers has meant to him over the years. 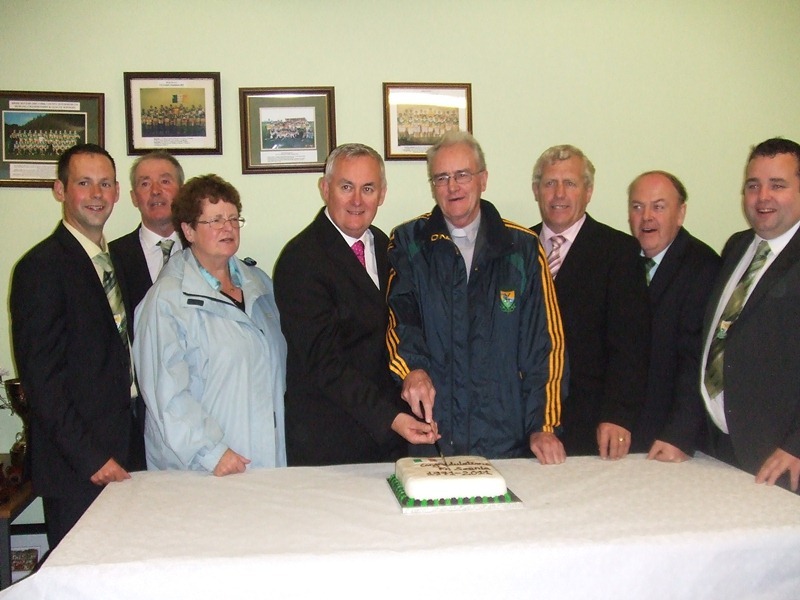 In 1985, Pairc na Bride was officially opened. It was a great day for Bride Rovers as it meant that for the first time in its history the club had a pitch of its own and a ground that the whole parish could be proud of. My father died a few months before Paiirc na Bride was opened. However, before he died his dream had been fulfilled. For the last years of his life, the development of the pitch was his consuming interest. He pushed the idea within the club and, despite his age and state of health, worked hard to see it through from idea to reality. He encouraged others to take the risk involved in the project. I think he did this because he realised that, without its own playing field, the club would remain weak and unrooted. There would be a constant danger that the club would fall apart again as had happened before in its history. Pairc na Bride was now our own place where the youth of the parish would always find a welcome to play the games and the older ones would come and watch and compare the present with the past and recount the stories of successes and failures, of games won and lost, of heroes and villains of old times. When I was growing up the club was going through one of its lean times. For most of my childhood there was no adult team in the parish. I never remember a time when I was not going to matches with my parents. I remember Castlelyons and St. Catherine's winning East Cork Championships in the nineteen fifties but I do not remember any such games involving Bride Rovers. We had a calendar in our kitchen of the Sarsfields team which won the Cork Senior Championship in 1951 and there were some Rathcormac men on it. Con Murphy played for Dublin in the All-Ireland Final of 1952. There were other men from the parish on the Castlelyons team that won the East Cork Championship. I was proud of these great men from the parish but I was confused and disappointed that it was not Bride Rovers that were involved. This was especially so because I grew up with hurling and Bride Rovers in the blood. My father, who had been secretary of the club at the time, never tired of telling me the story of the successful minor team of 1932 and how they defeated Glen Rovers in the County Final, a Glen Rovers team that included Jack Lynch. After mass on a Sunday, my father would often point out someone and inform me that he was on the Thirty-two team. He was very proud of those players - minor, junior and intermediate - who made the early thirties a golden era in the history of the club and his pride was passed on to me. The Bride Rovers song composed in honour of those heroes never failed to rouse me. I always had a deep desire to wear the green, white and gold jersey and I was never tempted to play with another club as long as Bride Rovers had a team. Even though the club was weak in my youth, as youngsters we hurled and hurled and hurled. We did little else in our spare time. After school in the evenings, we would gather in the school yard and play very serious games with a rubber ball. This honed the skills. If you didn't control and get rid of the ball with your first touches, the ball was gone and you would have a sore ankle or shin for your trouble. Even if nobody else was there, I spent hours on my own in the school yard hitting a rubber ball against the gable wall again and again and doubling on it into the school shed. Ned Daly presented a shield fora series of games in Pyne's field between the village youngsters and a Ballybrowney selection. These were my first competitive games and we had great excitement and intense competition. As an outcome of all this hurling, Bride Rovers won the East Cork Under Sixteen Championship in 1957. As a twelve year old who had hurled with all the players, I was thrilled with the victory but I was also a tinge jealous and in my youthful lack of objectivity thought that I was as good as some who were on the team and secretly blamed my father for not picking me. That same year a parish team won four Cups in local tournaments at Under Fourteen under the captaincy of Jimmy O'Brien but we were not entered in the East Cork Championship. Bride Rovers had no minor team in all my minor playing years. I, along with five or six others from the parish, played minor with Sarsfields and on one occasion in the East Cork Championship played against a team from Watergrasshill which contained a number of other players from the parish. It was with a strong sense of excitement that, early in 1965, I heard that the club was revived. At the time, I was playing with U.C.C. while studying for the priesthood in Cork. Because of what was known as the College Rule, it meant that I could play senior with U.C.C. and junior "B" with Bride Rovers. I was looking forward to the holidays and a summer of hurling. My first game with the Rovers was a challenge in Ballyhooley against the local team. My first impressions were not great. The team didn't play well, a few played in long trousers - this was not unusual in those pre-tracksuit days - but we were the Rovers and I was delighted. As the summer went on, we won a few rounds of the championship but eventually were defeated by Castlelyons. It was the beginning of another golden era for the club and I have cherished memories of summer evenings of training in Tom Getthings' field,,some marvelous tournament games against the neighbouring teams held in conjunction with local festivals and, of course, the successes in two "B" grade and two "A" grade championships between 1965 and 1975 as well as defeat in two more "A" grade finals. We had an excellent team with very skillful and speedy players and a great will to win. In fact, we won many games in the last few decisive minutes. It was a special privilege for me to be captain and bring home the James'y Kelleher Cup two years in a row, a cup which my father had bought on behalf of the division when he was Chairman of the East Cork Board. But my deepest memories are of playing with colleagues from the parish, friends that I grew up with, playing for the honour of the parish and club and the camaraderie built up in tasting victory together. David John Barry, who was chairman of the club in those years, -always reminded us before the big games that we were playing for the honour of the little village and parish. However, I also recall the feeling of sitting wordless with Sean Murphy and others in losing dressing rooms trying to get over the bitter disappointment of defeat. For me, the winning of the East Cork "B" grade Championship in 1966 with my own neighbours and colleagues was as pleasing as winning Senior and Under 21 All Ireland's in the same year. For those interested in coincidence, there are thirty three years between Bride Rovers winning the County Minor Championship of 1932 and the revival of the Club in 1965. There are also thirty three years between that revival and the great County Junior success of Bride Rovers in 1998 - three generations of hurlers. I was very happy to be connected with the 1998 victory as coach to the team. The team gave us great excitement and restored our pride in the club. I thank them. They are a very skillful and dedicated bunch of players and who knows but that, just as they wrote an auspicious final chapter of this History of Bride Rovers, they will write the first chapter of the next volume by going better than their predecessors of 1933 and winning the County Intermediate Championship in the coming years. I'm sure there are parents in the parish today and over the next few years who will quietly point to someone and tell their children with pride in their voice that he was a member of the great Bride Rovers team of Ninety eight. That's how tradition is handed on. That's how heroes are made and that's how the hurlers of the future will themselves have pride in Bride Rovers. That's how my own pride in the club was fostered.